We all know about labor's struggle against its long, slow decline in membership. This fight, often against the relentless opposition of anti-labor business interests and also sometimes, sad to say, labor's own bureaucratic inertia, was compounded this year by the significant legislative assaults we have all grimly read about. 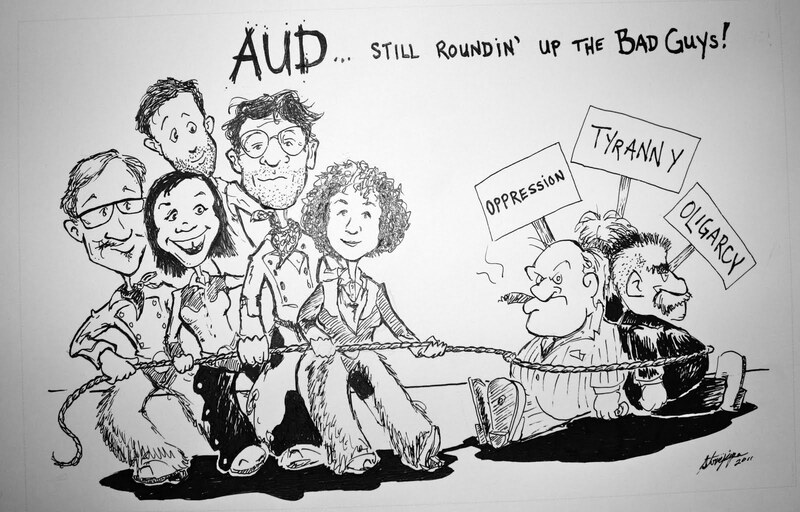 But AUD is still being flooded with requests for help from people who know the importance of the labor movement, and want it to be there for themselves and others -- people working and risking to make sure this happens. -- Pat Kane, Anne Bove, and members of the New York Nurses United caucus. AUD does need your help. We are facing a serious budgetary shortfall this year. Most of our support comes from rank and file unionists, who we understand are themselves more and more stressed. Nevertheless, we continue to count on you so that we can carry on the struggle to do what we do -- what we believe you know needs to be done. And we hope you can come through for us once again.